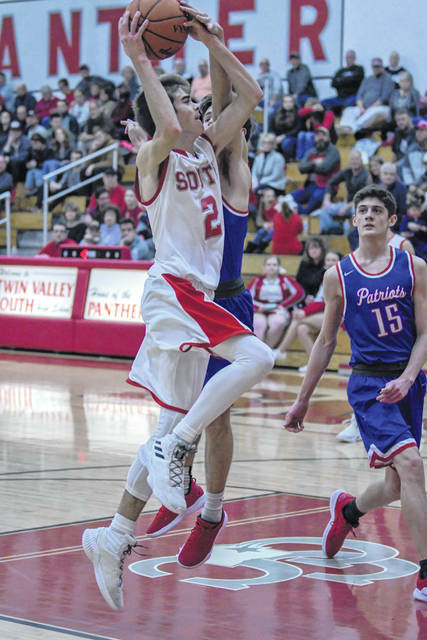 Twin Valley South senior Willie Bowman scored 16 points and handed out nine assists to help the Panthers to a 73-35 win over visiting Tri-Village on Friday, Jan. 18. South improved to 11-2 overall and 5-1 in the CCC with the win. 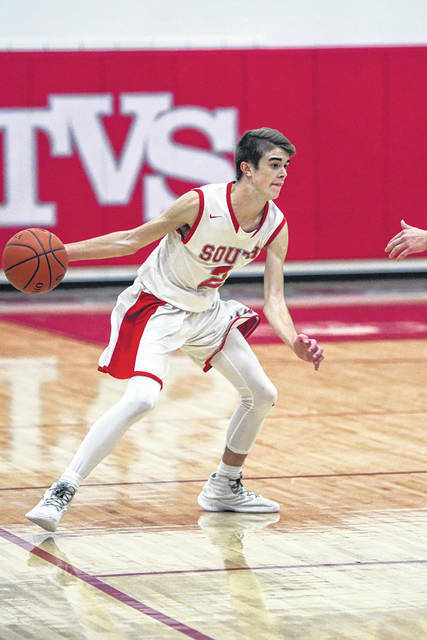 WEST ALEXANDRIA — Twin Valley South used a 19-0 run to begin the third quarter and cruised past visiting Tri-Village 73-35 in a boys high school basketball game on Friday, Jan. 18. 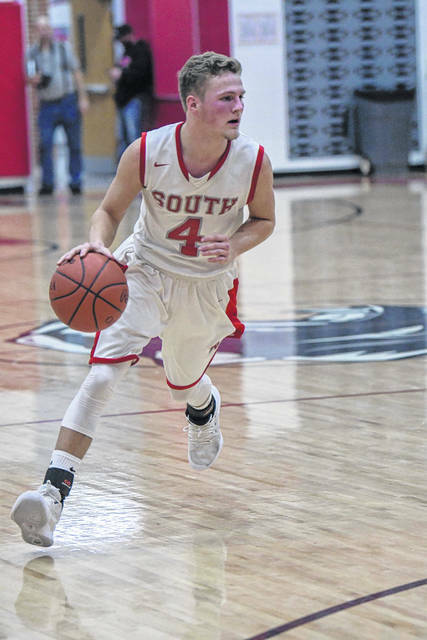 With the win, South kept its grip on the top spot in the Cross County Conference. The Panthers (11-2, 5-1 CCC) shot nearly 60 percent (29-of-49) from the field as they build an early lead and never looked back. 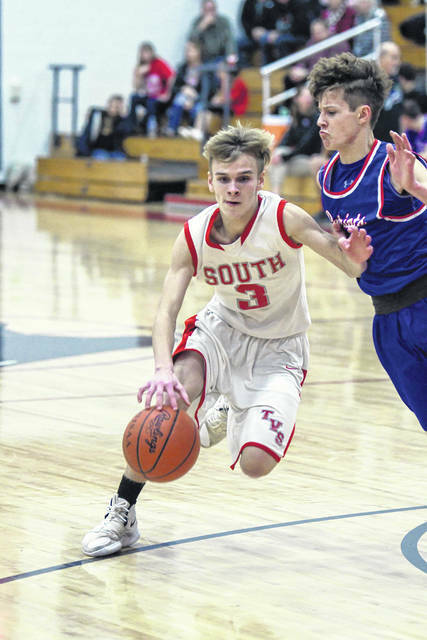 South, which has now won six straight, jumped out to a 24-11 lead after the opening quarter and led 39-23 at the half, before going on its game-clinching 19-0 run in the third. Senior Jayden Bassler turned in another outstanding effort, scoring 22 points on 10-of-12 shooting. He also had eight rebounds, six assists and blocked two shots. Senior Willie Bowman tossed in 16 points and had nine assists and four rebounds. Junior Cole Peterson finished with a double-double, scoring 14 point and grabbing 11 rebounds. He also added four blocks. Senior Nathan Osborn tallied 11 points, four steals and four rebounds. 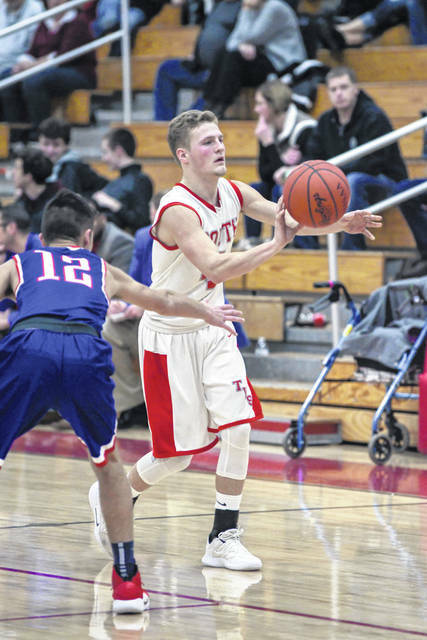 Senior Cade Cottingim contributed eight points and three assists. South is scheduled to play a pair of road games this week. On Friday, they will be at Newton for a CCC game. On Saturday, the Panthers will visit Preble Shawnee. 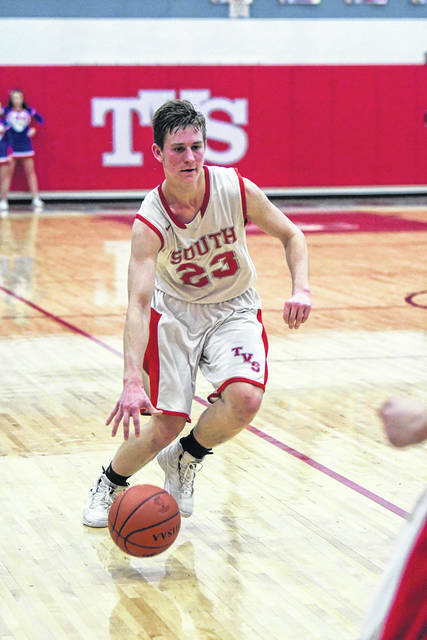 https://www.registerherald.com/wp-content/uploads/sites/41/2019/01/web1_tvsbbk6.jpgTwin Valley South senior Willie Bowman scored 16 points and handed out nine assists to help the Panthers to a 73-35 win over visiting Tri-Village on Friday, Jan. 18. South improved to 11-2 overall and 5-1 in the CCC with the win.